This recipe is very special to me as this is my 250th post. 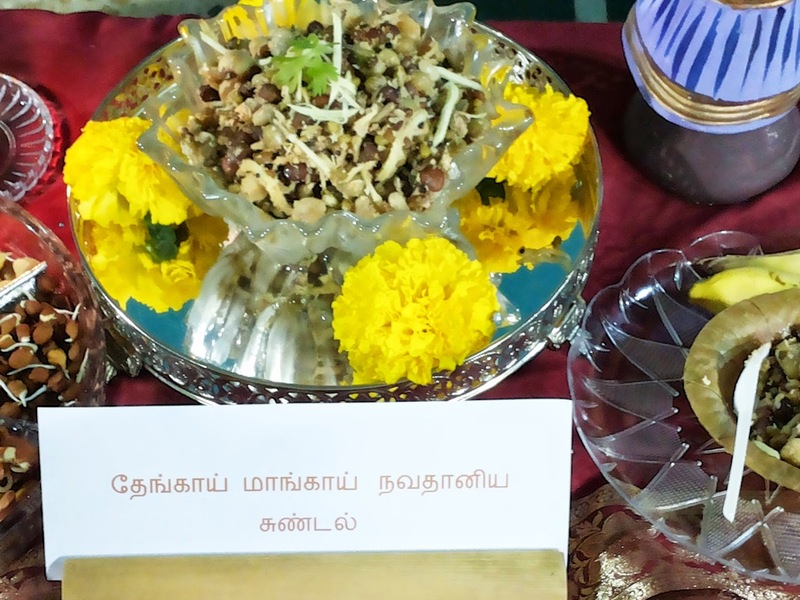 I also got the Second prize for this recipe in Navarathiri Special Sundal Competition, organized by Muscat Tamil Sangam. 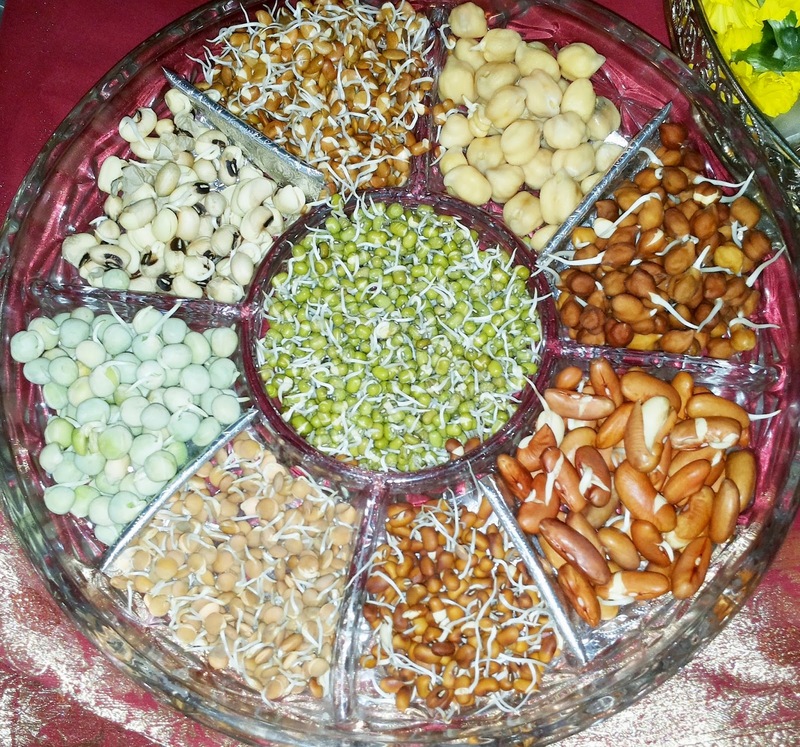 Try this nutritious sprouts sundal and Enjoy! Before trying this recipe do read the notes given in the end and then start; I have given some simple methods to prepare this recipe without fuss. Wash and soak all the legumes separately for about 6 to 8 hours. Add salt and cook them separately . Grind green chillies, coconut and ginger into a coarse without adding any water; keep aside. Now add cooked legumes and salt; continue mixing till it is mixed properly. Switch off the gas. After that add chopped or grated mango sprinkle, chopped coriander leaves and lemon juice; give it a thorough mix. Without sprouting also you can follow the same recipe. You can even combine and soak (rajma, white channa and brown channa) together, then (Green peas, Red gram, whole massor) , Green gram separately and kollu separately. Do not overcook the legumes. The selection of legumes is your choice, you can even try this recipe with single legume. Very healthy sundal, congrats on ur 250th post and for the win..u rock.